All the inside stuff to support the memorable and magical agents of Go Realty. A few years ago getting your message across to other agents at Go was pretty simple. "Um, Lindsay, you got a minute?" was pretty much all that was required. Email DL? Yammer? nope. Most of our communication was 1 to 1. Spin the dial four years forward and that's not working so well. We have four bee hives of agents shuffling in and out with all kinds of news to share. As we approach sixty agents, communication to one, some, or all of the group takes a little more thought and effort. So what's an agent to do to share the news? Here are a few guidelines to help keep it simple (remember, we believe in that) and keep your inbox a little lighter. We encourage personal, 1 to 1 messages. It's the most powerful way to influence. And it requires the most effort. We all have access to office and company DL's for email, but before you push send - let's back up just a bit. Your broker open, garage sale, or client who needs a short term have various levels of importance to the members of the Go community. We ask that before you send an email to the office or company DL, you get approval from your office Leader. 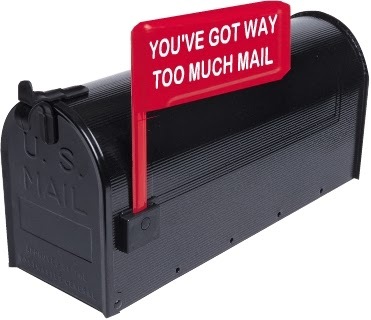 Sorry to slow you down, but we are committed to decluttering the email environment. Most of these announcements are best served on Yammer or a post on this here blog. Remember, before you hit send, run it by your Leader. One exception is announcing the new listing of a client. Now that we have critical mass in each of the offices, we are making a change (we believe in that, too). Starting this week, please send your new listing announcements that are addressed to the seller and include your fabulous listing blog link to your OFFICE DL, not the entire company. We have found that 8-10 responses is what makes optimal impact with the client. Each office is capable of covering, and in most cases the listing is most relevant to your office mates. If you have a listing to announce to agents outside your team, just make a quick check with the applicable leader before launching. Thanks for keeping these guidelines! Go Believes in Fair Housing. Simple theme. Powered by Blogger.